"We are going to be the last mass shooting," vowed Marjory Stoneman Douglas senior Emma Gonzalez. "We are going to change the law." 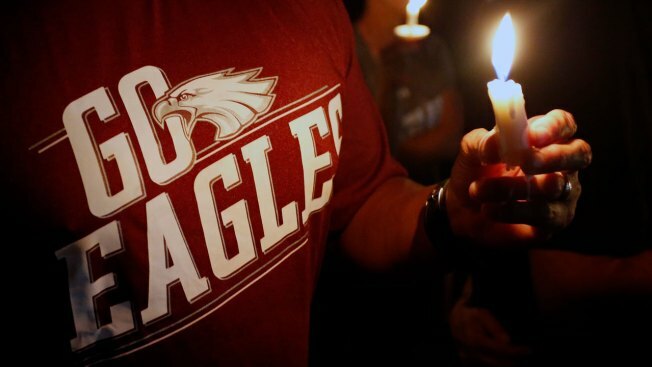 The shooting last Valentine's Day at Marjory Stoneman Douglas High School in Parkland, Florida, prompted a wave of student and parent activism for stricter gun laws not seen after previous massacres. 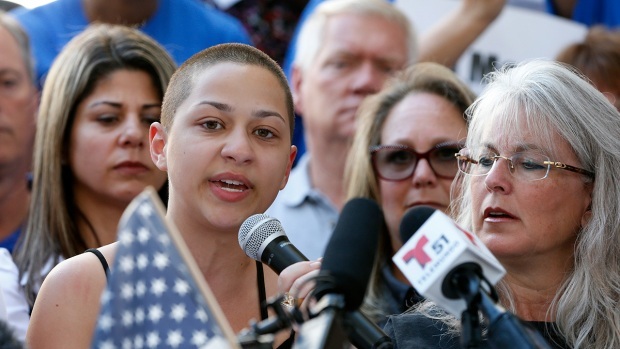 Marjory Stoneman Douglas senior Emma Gonzalez delivers her now-famous “We Call BS” speech during a gun control rally in Fort Lauderdale. She criticized President Donald Trump for calling on action on mental health after he overturning an Obama-era law that made it harder for people with mental illness to purchase guns. "We are going to be the last mass shooting," 18-year-old Gonzalez vowed. "We are going to change the law." On Sunday, a group of students from Marjory Stoneman Douglas high school announce plans for a mass demonstration in Washington D.C. on March 24 to demand action on gun control. The March for Our Lives campaign is spearheaded by students Emma González, Alex Wind, Cameron Kasky, David Hogg and Jaclyn Corin. The president said he would push for comprehensive background checks with an emphasis on mental health. 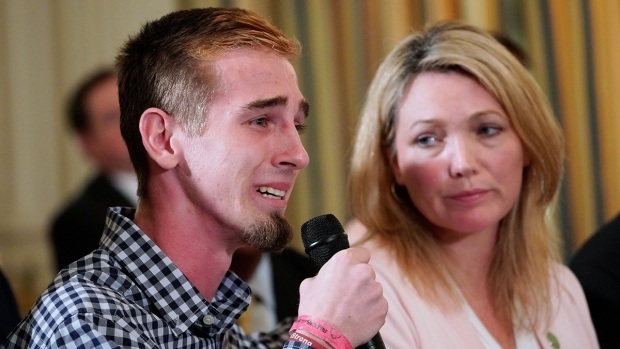 Other survivors marched on the Florida state Capitol called for tougher gun control laws. Several Parkland students, teachers and parents of victims confront National Rifle Association spokeswoman Dana Loesch and Florida senators Marco Rubio and Bill Nelson, as well as Democratic Rep. Ted Deutch on the issue of school safety and gun control during a CNN town hall. 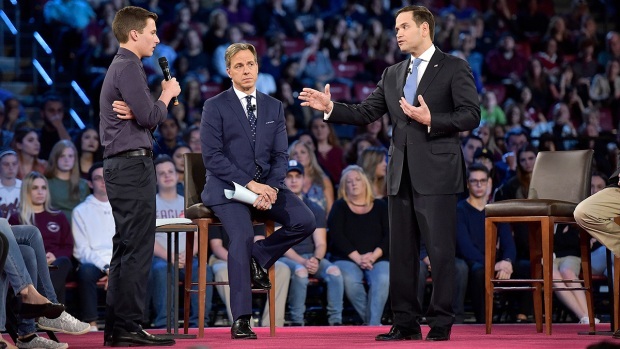 Student Cameron Kasky tells Rubio, "It's hard to look at you and not look down the barrel of an AR-15 and not look at Nikolas Cruz" before asking the senator if he'd stop accepting money from the NRA. Rubio replied that people buy into his agenda and that he supports laws to keep guns out of the hands of deranged people, adding that the NRA represents the interests of countless of Americans. After ThinkProgress publishes a story highlighting the over two dozen corporations offering discounts to NRA members, several companies responded that they were terminating their agreements with the gun rights group. Activist Michael Skolnik posts on Twitter a list of the companies that still have a relationship with the NRA and launches the hashtag #BoycottNRA. Within 48 hours, MetLife, Hertz, Symantec Corp, Enterprise Holdings, First National Bank of Omaha, and other companies announced they were ending discount programs for NRA members. David Hogg calls on tourists to boycott the state of Florida until lawmakers pass sensible gun reform legislation. Hogg took to Twitter to ask spring breakers to spend their vacation in Puerto Rico, which "could really use the economic support that the government failed to provide." In another tweet, Hogg noted that maybe politicians will "listen to the billion dollar tourism industry in FL. #neveragain." 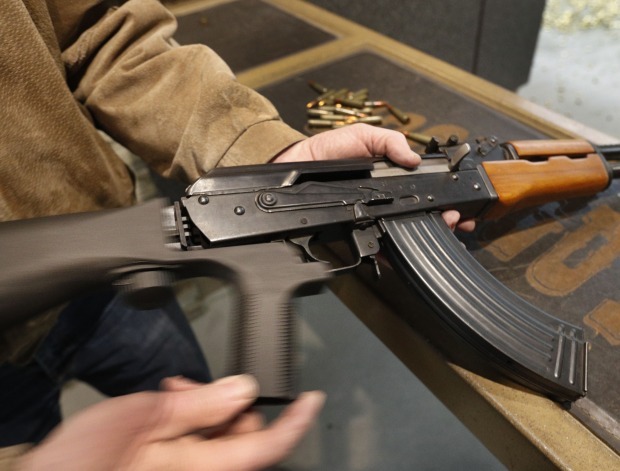 The new law was created to satisfy both gun rights advocates and gun control advocates in the wake of the Marjory Stoneman Douglas High School shooting that killed 17 people. The NRA still filed a lawsuit hours after Florida Governor Rick Scott signed it, claiming it violates the Second and 14th Amendments. Gov. Rick Scott signs a far-reaching school-safety bill that places new restrictions on guns, including raising the minimum age to buy rifles from 18 to 21, extending a three-day waiting period for handgun purchases to include long guns and banning bump stocks. With the success of the social media-driven boycotts, Hogg and other gun safety advocates deploy the strategy several more times to force other brands and corporations to disassociate themselves from the NRA and the politicians who the group supports. It also proves effective in getting popular chain stores to discontinue the sale of assault-style rifles and increase minimum age requirements for gun purchases. On the one month anniversary of the Parkland massacre, hundreds of thousands of students nationwide walk out of school to demand action on gun violence. They also took their message to statehouses across the country, declaring enough is enough and #neveragain. 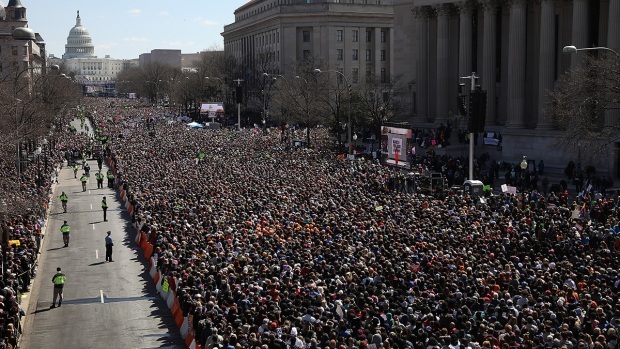 Hundreds of thousands rallied across the U.S. in the student-led March For Our Lives demonstration against gun violence. Marjory Stoneman Douglas students spoke before supporters in Washington, D.C. along with activists, politicians and celebrities. Survivor Emma Gonzalez held a moment of silence to honor those killed. Random House announces siblings David and Lauren Hogg have inked a book deal. "#NeverAgain: A New Generation Draws the Line" is published on June 19, with proceeds going to charity. The book is both a memoir and a guide to activism. It will go on to be a New York Times best seller. On the 19th anniversary of the Columbine shooting in Colorado, students across the country participate in another wave of school walkouts. During the second National School Walkout, organized by a Connecticut student following the Parkland shooting, students held voter registration drives and issued ultimatums to lawmakers who refused to act. 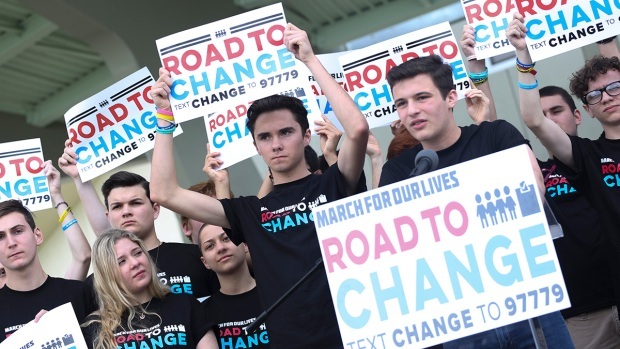 A day after graduation, Parkland students announce the “March for Our Lives: Road to Change,” a multistate bus tour aimed at mobilizing young voters to register and vote out NRA-backed candidates in the 2018 midterm elections. The Road to Change tour kicks off on July 15 on the South Side of Chicago, Illinois, with celebrities like Chance the Rapper and Jennifer Hudson. Voters nationwide prove that gun violence prevention is a winning issue, with outspoken gun safety advocates beating their NRA-endorsed opponents in about two-dozen House races around the country, according to the Giffords Law Center on Gun Violence Prevention. Archbishop Desmond Tutu, left awards the Children's Peace Prize to students at Marjory Stoneman Douglas High who campaigned against gun violence, from second left, Matt Deitsch, Jaclyn Corin, Emma Gonzalez and David Hogg in Cape Town, South Africa, Tuesday Nov. 20, 2018. A group of young Americans who campaigned against gun violence after surviving a deadly shooting at their Florida school have received a prize from former South African archbishop Desmond Tutu. Tutu said in a statement the students showed that "children can move the world" and he compared the U.S. movement for gun control that they started to other big peace movements. 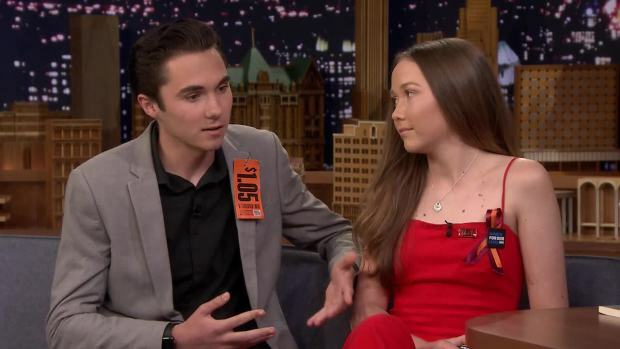 Parkland activists are awarded the 2018 International Children’s Peace Prize in recognition of their anti-gun violence movement. 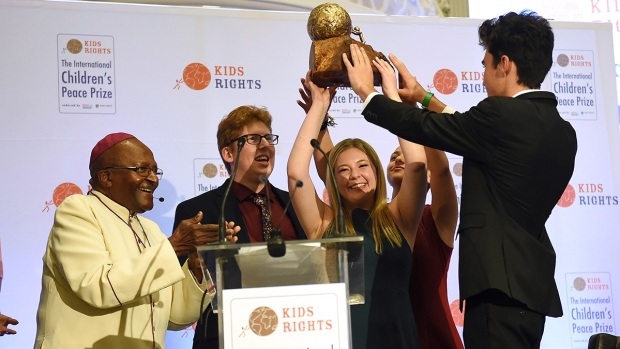 Matt Deitsch, Jaclyn Corin, Emma Gonzalez and David Hogg received the award in Cape Town from former South African archbishop Desmond Tutu. House Democrats, with the support of some Republicans, introduce a bill would expand requirements for background checks to all gun sales. Parkland activists join Pelosi onstage at a press conference announcing the bill. Parkland shooting survivor and gun control activist Aalayah Eastmond testifies before the House Judiciary Committee that tough legislation is needed to prevent gun violence. "Gun violence is such an epidemic, that anyone, anywhere, at any time can be affected," Eastmond said. "Rich or poor, black or white, young or old -- all Americans are at-risk and this is a side of America that none of us can or should take pride in." NBC's Danielle Abreu contributed to this report.